What’s Your Favorite Bus Route? Bus routes have personalities. Seriously. Ask a frequent bus transit rider what their favorite route is and chances are they will have an answer. Bus routes often take on the characteristics of the people and the neighborhoods they serve. Sometimes the length of the route, the frequency of service, time of day and even the size of the bus affect the experience of riding one route versus another. Sometimes it’s just a gut feeling, the scenery of the route, or the collection of riders you encounter on a regular basis. Maybe it’s a warm and memorable operator, or that your favorite coffee shop has a stop right out front. On Aug. 30, Metro will start its second phase of bus service restoration. The details of the changes will begin online next week. Some routes will stay the same, some will change, and some will be brand new to Metro and to opassengers. Hopefully, some of these will become new favorites for our riders. What is your favorite bus route? Why makes it unique to you? Please give us your answer and we’ll put together a collection of your favorite routes for a future post. Interesting question. Except my favorite “bus route” is not a bus route at all — that would be the Red Line, the original Metrolink route here in St. Louis. Why? It is one of the few routes that I have ridden that you see people from all walks of life. You see everybody from the TSA workers at the airport, to lawyers going to work downtown. You see people who have to take transit, and people who want to take it. You see travelers from almost everywhere. Sometimes they are students going home. Sometimes they are aircrew going to work. Other times they are business people going wherever business takes them, just like me. The Red Line gets me to Blues games, Cardinals games, and Rams games too. The Red Line also gets me food and drink — from Tigin at 4th and Washington, to Jack Patricks at 10th and Olive. Then there is the Broadway Oyster Bar, near Busch Stadium, along with BB’s Jazz and Blues. Further out, there it Tom’s Bar & Grill in the Central West End, and the Greek Food of Majestic. 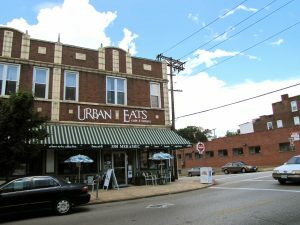 If its music I am after, take it to Delmar and the start of the Loop for the Pageant, and a short walk further is St. Louis icon Blueberry Hill. Then there is my favorite part of the Red Line — it gets me home. I enjoy taking the 32 Wellston / MLK and transfering to the 95 South Kingshighway / Hampton Loop. First and foremost, it takes me from my house in Breckenridge Hills to the Royale for only $2.75. Past that, I love the driver’s recording for the 95. “South Kingshiiiiiiiiiiiighway” Once you hear that about 30 times, it gets burned into your brain and you can’t say Kingshighway in the correct fashion any longer. I like the 97 Delmar route. This is one of the routes that provide a direct link and/or close proximaty to several vibrant areas including the downtown loft district, the Grand Center, the Delmar/U-City loop and the Brentwood-Clayton area, which offer entertainment, good restaurants and shopping. West of the Loop, this route provides a pleasant trip through treeline neighborhoods with fascinating architectural building structures and mansions. I’d have to say my favorite is the #59 Shaw, it never has crowds so large that one has to stand and all the neighborhoods it goes through are good for architecture and it is also surprisingly quick. My favorite route is the #40 Broadway. While it’s not the most glamorous route in town, you do get to see a lot of industrial activity, and it’s a true workhorse route. The job of the #40 is to get people to work, which is the first and foremost job of public transit. It’s also the route I most commonly rode to work downtown for a number of years, first from my mom’s house off Telegraph in South County, and later from my own first house on Indiana in the Marine Villa neighborhood. It’s still the only true “crosstown” route through downtown, traveling all the way from Jefferson Barracks VA Hospital to the north end of Baden. My only quibble with the current routing is that it deviates from Broadway proper from Arsenal in the south all the way to Howard Street in the north, so it no longer gives the vistas of Soulard Market, Busch Stadium and the Arch that it used to. I suppose you just gotta transfer to the #30 now. Remember when the bus schedules were color-coded based on region? I believe there was Orange (South), Red (Southwest), Blue (North), and Grey for the cross-towns. There were also west and northwest colors but I can’t remember those anymore. I don’t ride the Broadway much anymore, but I have fond memories, including a few friends I made on that route when I was a daily bus rider. Mine is the #17 Oakville because it serves Affton and lots of old folks live there and with the workforce now trying to turn to older workers, that bus is a good route. I remember when that was the Clayton Oakville line. I remember that line had several 30 foot Rhor Flxibles on it. They were good buses but since they weren’t ADA complient, Metro was forced to take them out of service. 95 Kingshighway is my go-to route. 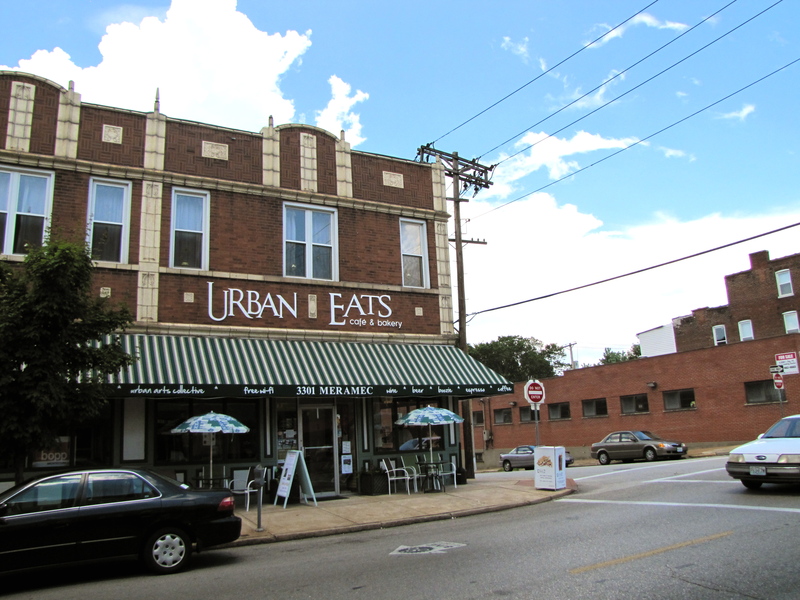 It gets me to the CWE, with all its great attractions and MetroLink access. And the always fun 95 Kingshighway! My favorite route used to be the 56 Kirkwood-Webster before the rerouting. Speaking of, I heard that there is talk of another line similar to the previous 56 that might help out us neglected folks in Maplewood. Any truth to that? 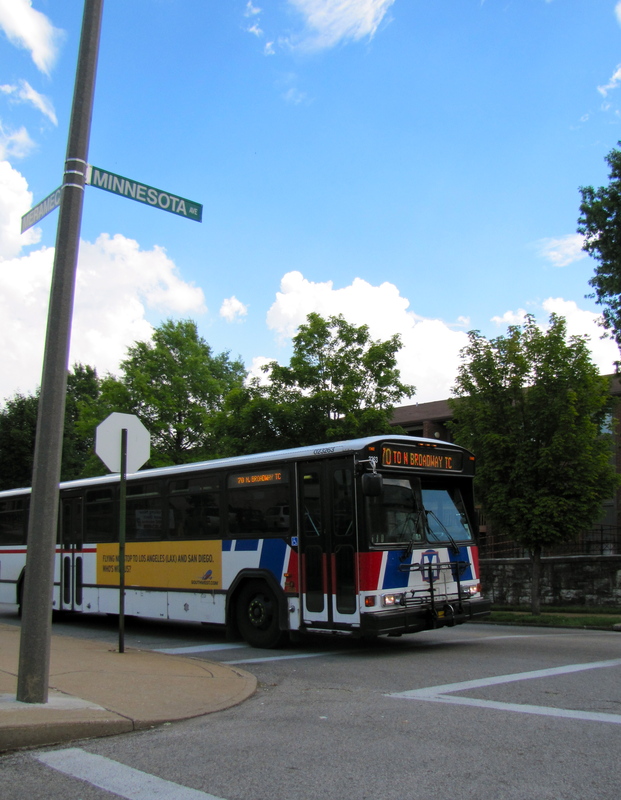 I’m not sure how the #56 routed previously, but the #57 Manchester will now be split at Maplewood MetroLink Station, with west becoming the #57 Manchester, and the east becoming the #32 M.L.King/Chouteau, which travels more frequently down Manchester and Chouteau towards downtown. The #16 City Limits is unchanged, and the #56 will extend to Meramec College.